A young couple died in a car crash after leaving a wedding reception where they had been dancing the night away. The couple - believed to have been among the guests at the wedding were killed when their car took off and crashed on to rocks. It happened on the Perelle coast road yards from the sea on the Channel Island of Guernsey. 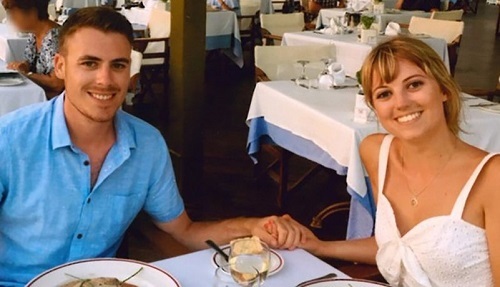 Police say Stuart Moorat, 27, and Georgina Le Prevost, 25, were at a wedding reception shortly before the tragedy. News of their deaths had to be broken to other people in the wedding party and many were said to have been in tears. Accident investigators said today it appears their car left the road at Rue du Catioroc in St Saviour's, and crashed down on to rocks on the foreshore at about 11pm on Friday evening.